You know it's been a LONG time since you've blogged when.... your blog address doesn't appear in the URL when you start typing! Just to make myself feel better, I do have to say that I am a 'busy blogger' in the schools that I work in and am also very good at encouraging others to blog. BUT time to be a role model and 'walk the talk'. October has been HUGE and it's only the 3rd. 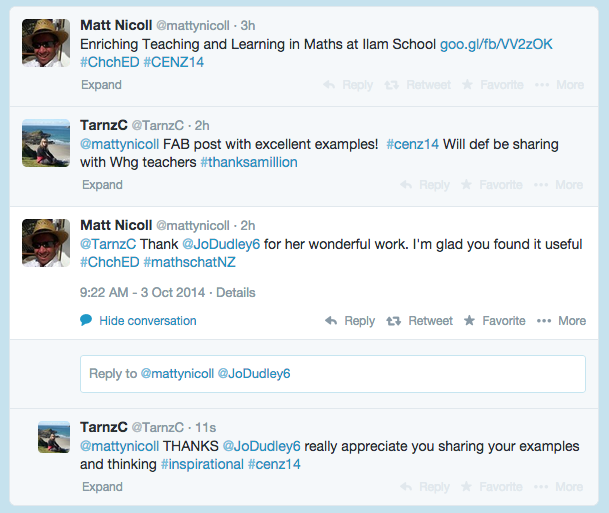 BIG SHOUT OUT to @virtuallykaren and @COREEducation - for bringing #cenz14 to Aotearoa. I have loved the professional learning from the comfort of my own home and have been wowed by many presenters. The dialogue from participants in the chat box is also hugely inspiring and amplifies that we are living in a world where 'connectedness' is valued! So, a few of my highlights have included connecting in an online space with @tombarrett, @langwitches and @stephenheppell . I have so much to reflect on as I delve deeper into my own thinking and learning. Oh to head off to a tropical Island and take time out. I have been inspired to download Designing a Learning Space by Juliette Heppell and yes, again, will need to take sometime to explore this further. @jodudley6 and know this is something that I will continue to share with Educators I connect with. Jo has thoroughly explained how she is enriching teaching and learning in math with the support of digital technologies and has shared some incredible examples. Through Twitter I am able to express my thanks and share with Jo the impact this post has had. 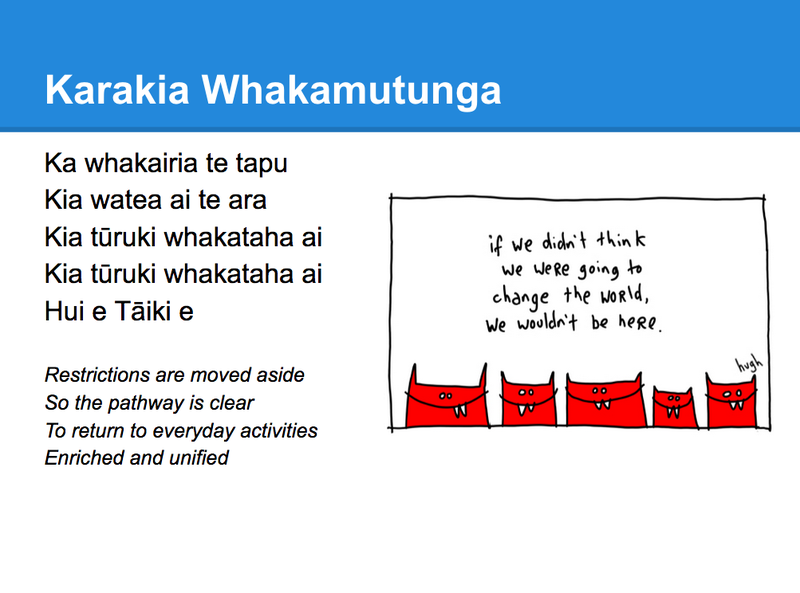 Events for #cenz14 Can be found here.